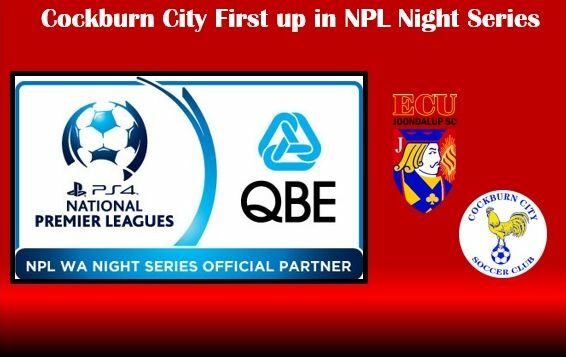 Football West have added a new format to the pre-season competition, and will add a nail-biting edge to every match over a four-week period that will lead into an expanded regular PlayStation 4 NPLWA season. The Jacks lost 0-4 to Cockburn away last season in the league, but beat Scott Miller’s side 3-1 at the ECU Football Stadium later in the season. Jacks Coach Dale McCulloch said the players have worked really hard in the pre-season and he’s looking forward to the pre-season competition. “We’ve been really happy the way the players have returned to pre-season training and we are raring to go in 2017,” he said. “We will put our best squad into the Night Series games, starting with Cockburn, but we will also have a look at some of the new players that have come on board this season, and if pre-season is anything to go by, we’ve got some great young players pushing for a start. The next round of fixtures will be drawn on Monday, 23 January 2017, following the completion of Round 1.